At Street Characters, we turn dreams into reality! We breathe life into the characters that we create. Our characters are fun, full of life and built to last! Street Characters Inc. roots trace back to 1984 when our company president Glenn Street worked with two high profile local mascots: the very first mascot in the National Hockey League, Harvey the Hound of the Calgary Flames, and Harry the Horse of the world famous Calgary Exhibition and Stampede. While performing as Harvey, Glenn was frequently asked by other teams how they could get a similar character of their own. Seeing a great opportunity, Glenn started Street Characters Inc. in 1987. 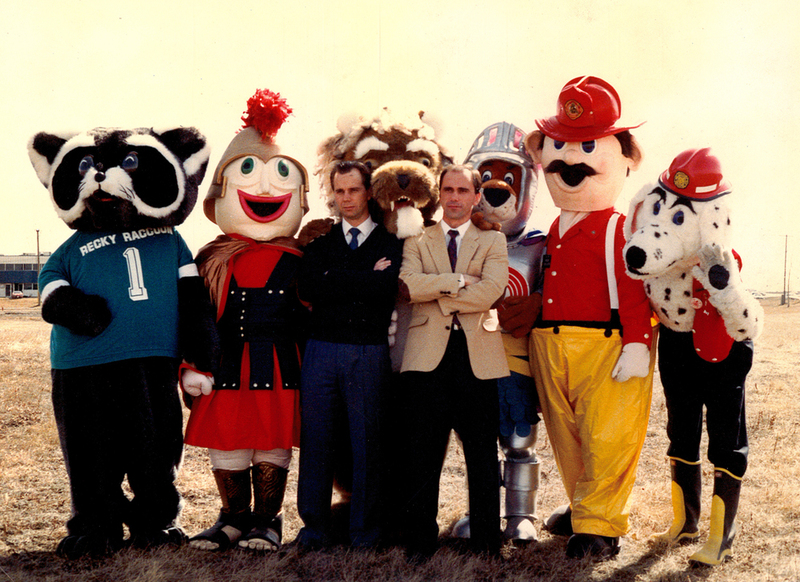 Since then, Street Characters Inc. has grown to become a world renowned mascot solutions company. Since our inception, we have created thousands of mascots for organizations around the globe. Our clients include professional sports teams, colleges, universities, high schools, corporations, theme parks, festivals, and everything in between! We have trained performers, administrators, and supplied mascot management services to a number of clients regionally and abroad. Through it all, we are proud to say that Street Characters inc. is established as the world leader in creating FUN! Glenn is a true pioneer in the Mascot Industry, both as a performing mascot himself and then as a maker of quality mascot costumes. Over 30 years ago Glenn performed as the first-ever Mascot in the NHL (National Hockey League). He performed the duties and hilarious antics of “Harvey the Hound” for the Calgary Flames. The popularity of his performances prompted many other NHL teams to contact Glenn and ask him to create mascot characters for them as well. Twenty years later, Street Characters is still the world leader in creating the Absolute Best quality mascots, and has been chosen by over one thousand different organizations, teams, and schools. 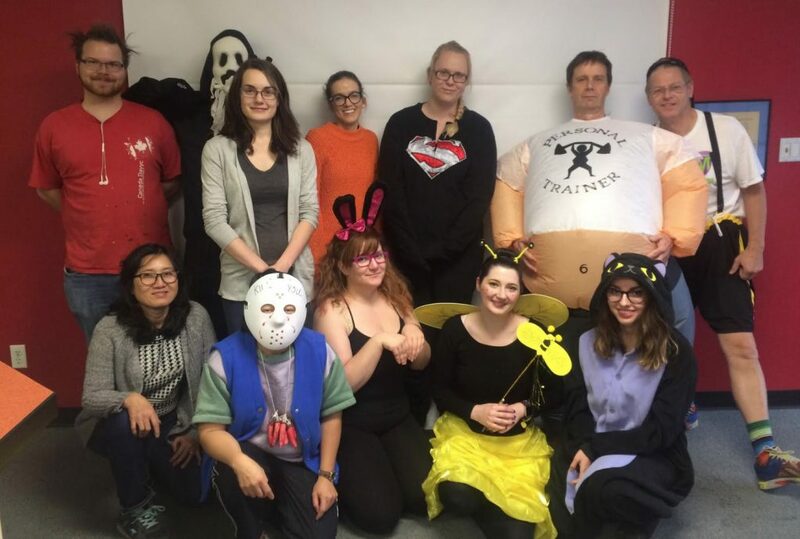 The years of experience and careful expertise that we have gained by our hands-on approach in the industry is built into every mascot costume made by Street Characters Inc. When we say that our mascot costumes are “Made by mascots for Mascots”- we mean it. Glenn Street has been there since day one! Aubrey comes to Street Characters with a wealth of sales and customer service experience. His high standards of professionalism and commitment to excellence are paramount in ensuring the utmost in customer satisfaction. 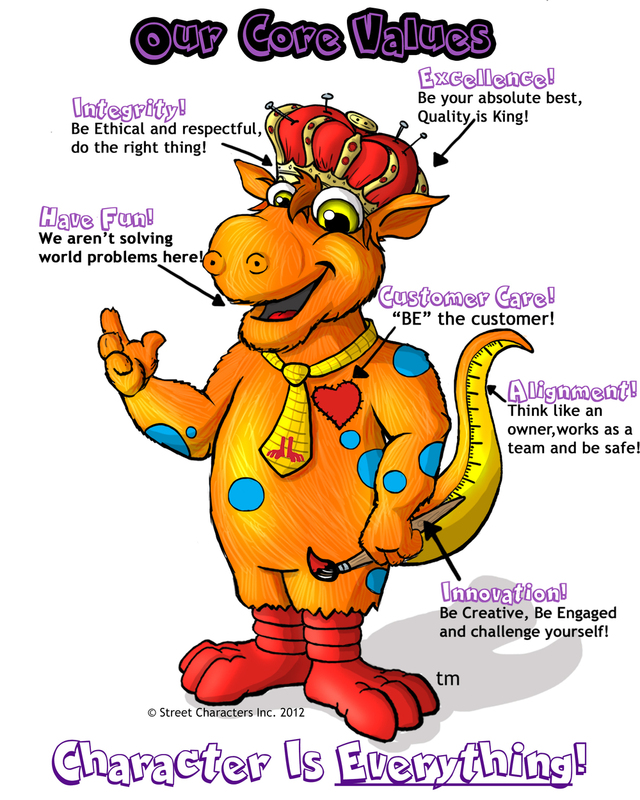 Along with the Street Characters team of mascot creators, he will assist you with any questions and ideas you may have, providing the Absolute Best possible solution for your mascot needs. Returning customers are a true testament of customer satisfaction and Aubrey is always happy to continue meeting all of their mascot requirements as well. Olga is our Concept Artist and is the creative genius that takes your ideas and turns them into reality. You name your inspiration, whether it is a Koala bear, a Parakeet, a courageous human, an inanimate object, or a friendly dog -Olga will take your idea and work her magic to bring your dream to life! The final concept that you will receive is a mascot that is exciting, that fans will love, that is practical, comfortable, and safe for the performer to wear. Olga has also brought the tools of Social Media to the table and looks after the website and any SCI social media networks and/or channels… She makes sure the world knows all of the great things we create here at Street Characters inc.! Keeping track of all of our archives and accounting can be quite the mountain of a task, but Lyndel is always ready to tackle the job. Being the Absolute Best mascot company in the industry means that we’ve also got a steady flow of numbers coming in and going out and rely on Lyndel to keep everything moving smoothly from week to week. Also in charge of our directory, Lyndel will likely be the first you speak to at Street Characters Inc. Becoming a part of the Street Characters Inc. Team! We look for innovative, creative, and team oriented individuals that bring a can-do attitude with a fresh perspective to our company. Several factors contribute to making a costume amazing. First, it must have a visual appeal for its primary audience. Generally speaking, this means it be cute and cuddly, and bear an obvious relation to the organization that owns it. Second, it must be constructed of sturdy, durable materials that will stand up well to wear and tear. Finally, it must be highly functional in a wide variety of performing environments. This means it must be well ventilated, allow for a good range of vision and permit unencumbered body movements. An excellent mascot performer is defined by three characteristics. First he/she must have a suitable personality. Street Characters’ experience has found that mild introverts with a dry sense of humor make the best performers, not extroverts. This is because the anonymity of the costume allows an introvert to do things he would otherwise shy away from. Extroverts, meanwhile, have difficulty suppressing their own personality in favor of the mascots. The performer must get along well with people of all ages, but be especially good with children. Accordingly, he or she must be gentle and patient in manner. Second, the performer’s act must endear the mascot to fans by providing them with a lasting positive impression. This requires the performer to develop routines that leave the fans wanting more. The last characteristic is the performer’s physical suitability for the role. This entails having the correct stature to wear the costume and being in good physical condition. The final ingredient of a successful mascot program is the commitment of the organization managing the program. By commitment, we mean the willingness to provide the program with all the moral and material support it needs to run effectively. In terms of moral support, an organization needs to regard the program as an integral part of its overall marketing, public relations and entertainment package. To that end it must seriously consider the promotional ideas and managerial concerns of the mascot program’s staff. As for material support, it is essential that the organization give the mascot program sufficient financial, logistic and administrative resources to do the job well.